After extensive consultation and debate, the South Adelaide FC declares, from this point on, it will be "Visionary, with a Can-do attitude and a United Club". We will NEVER waiver away from the direction these values take us. "Visionary, with a Can-do attitude and a United Club". We will NEVER waiver away from the direction these values take us. 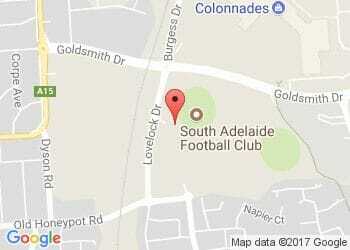 Click below to view the South Adelaide Football Club Board Member profiles and the current administration staff. Located in the southern suburbs, Jimmy Deane's is central to beautiful beaches, wineries and the roaming hills. The South Adelaide Football Club Hall of Fame includes our Greatest Team, Inductees and Living Legends.